The Minor Diesel Fuel kit is the basis of any Diesel Service. Both products are simply added to the fuel tank of a diesel engine, so no special equipment is required. 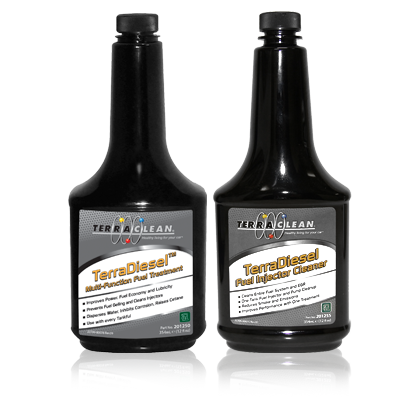 First, TerraDiesel Fuel Injector Cleaner is added to the fuel to remove gums, varnishes and carbon deposits. This will significantly lower emissions and improve performance in as little as two hours of normal operation. 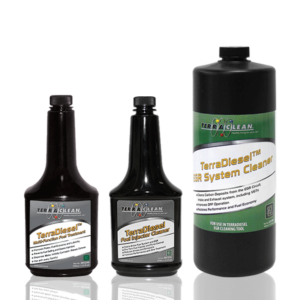 TerraDiesel Multi-Function Fuel Treatment is then added to the fuel tank. 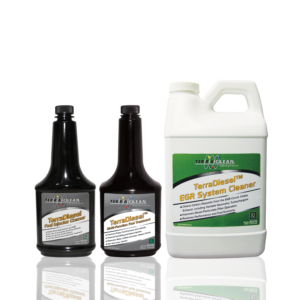 By dispersing water from diesel fuel, Multi-Function Fuel Treatment eliminates bacteria and prevents corrosion. Because it improves atomization, Multi-Function Fuel Treatment improves fuel economy and lower emissions. It removes existing gum, varnish and carbon deposits in the fuel system and helps keep particulate traps clean.